This is a beautiful penthouse of first quality in which highlight the quality of its materials and furniture, but most of all its huge terrace of more than 50 m2 with panoramic views of all of Seville, with furniture of design. No doubt there are few apartments in Seville with a terrace like this and with those views. Tetuan Terrace is a perfect apartment for those who are looking for a very special stay in Seville. It has two bedrooms, one with two single beds of 1.90 x 2.00 and one with a double bed of 1.35 x 2.00. It also has two full bathrooms, a modern and fully equipped kitchen and a beautiful living room overlooking the private terrace. A true wonder. The apartment is located on Tetuan Street, in the heart of Seville, the most central part of the city, just a step away from all the monuments and places of interest. 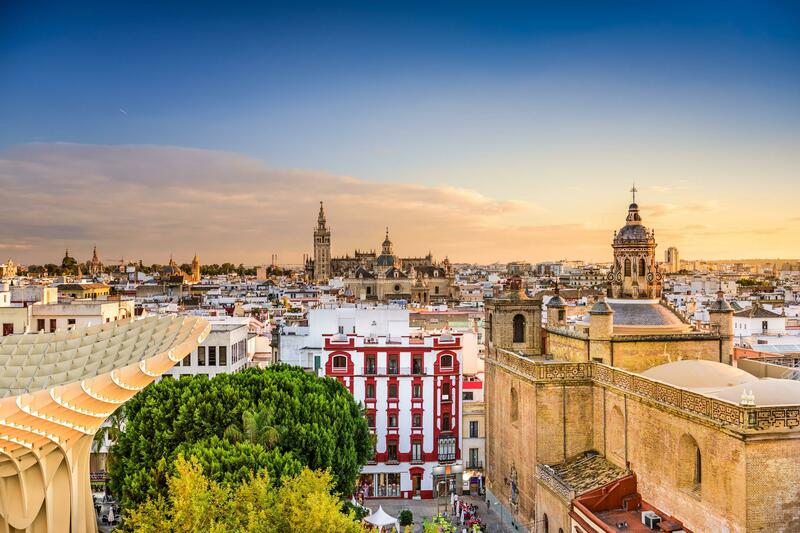 Also in the same street there are many shops, supermarkets and small bars to enjoy the cuisine of Seville.